I was slogging away at my new novel, writing about the tenuous boundary between reality and fiction, when I first heard the news about the horrific shooting at the premiere of The Dark Knight Rises at the multiplex in Aurora, Colorado. 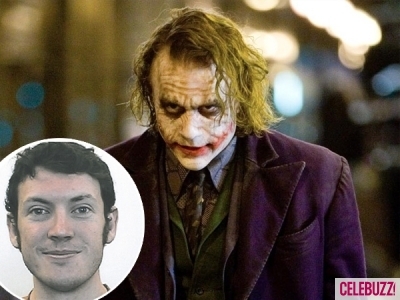 Witnesses reported that just before opening fire, killing a dozen people and injuring scores more, the shooter said “I am the Joker.” For him, evidently, the dividing line between truth and fantasy had grown irreparably breached. In yesterday’s Daily Beast, Dr. Michael Stone, who has studied over 200 mass murderers, is quoted as saying the majority, most typically young males, are not psychotic. Often they are loners who suffer from paranoia or other personality disorders, and some external event or person triggers their outbursts of deadly rage. Some are sociopaths. We still don’t know what set off James Holmes, and whether his dropping out of graduate school was cause or effect. But his recent purchases of arms and ammo, and the way he wired his apartment with explosives, chose his “full ballistic” costume, and staged the massacre at the Batman premiere, suggest painstaking planning and premeditation. My novel-in-progress is a work of fan fiction and fantasy involving dueling soap opera stars on the imaginary XYZ network. Yesterday, I was struggling with a scene in which the hero, a romantic lead on an afternoon soap, arrives at the studio and is confronted by a cop who informs him that the set has become a crime scene. Someone has been murdered overnight, but my hero, Lieutenant Jonah McQuarry, at first believes the entire scenario is part of a new script he hasn’t yet read. Just as they rolled out a gurney bearing a black body bag and the truth started to dawn on my protagonist, Friday’s episode of General Hospital – which has some remarkably similar characters – came to an end, and ABC switched to the news. The Colorado massacre was front and center, and I clicked over to CNN for more details, thus effectively ending my writing session for the day. Hunkered down in my recliner with a glass of wine, greedy for more details, I learned that until the murderer opened fire, some in the audience believed he was part of the show, some sort of promotional gimmick. When John Holmes declared, “I am the Joker,” did he actually believe he was the character? If so, was he the Joker as embodied by Jack Nicholson, or by Heath Ledger? I’m guessing the latter, both because there’s a better generational fit and because Ledger’s tragic death six months before the release of The Dark Knight in 2008 compounds the complexity of the killer’s identification with the Joker. Did he believe he was destined to die like Ledger, thus making him some kind of legendary martyr? He’s alive, in police custody, so perhaps some answers will emerge as the story unfolds. That was months before Lennon was shot down outside his apartment in the Dakota on Manhattan’s Upper West Side. 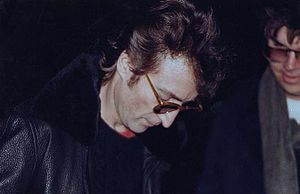 His killer, Mark David Chapman, had once been hospitalized for depression but had otherwise functioned relatively normally without obvious evidence of mental illness. He was obsessed with J.D. Salinger’s Catcher in the Rye and saw himself as the novel’s protagonist, Holden Caulfield – yet another instance of the comingling of reality and fiction. These days, the individual obsessions of the late twentieth century seem positively quaint. Social media and mass communications have become so overwhelmingly powerful, the images of violence and mayhem so inescapable, and powerful deadly weapons so readily available, it’s no surprise that for certain deranged individuals, the lure of deadly international fame will prove irresistible. Sadly, the massacre in Aurora probably won’t be the last.